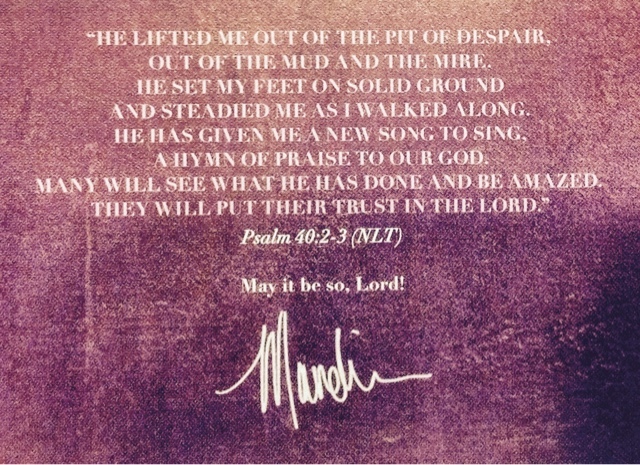 MANDISA's latest CD “OUT OF THE DARK” was released May 19th! This CD is a story of hope. Of the eighteen tracks on this deluxe edition, four are voices not song, both Mandisa and friends that tell an unfolding story of depression, friendship, and ultimately not giving up. The songs each have Scripture references shared with the lyrics. Mandisa wrote her song “Overcomer” in 2013 to encourage her close friend Kisha, who was battling breast cancer. Mandisa really believed and prayed that God was going to heal her, but when Kisha went to be with Jesus in 2014, Mandisa’s foundation was shaken in a way she never expected. She fell into a deep pit of depression for close to 3 years, shutting out her friends, family and the rest of the world. Mandisabelieves if she had kept going down that road she was on, she would not be here today… but God stepped in and lifted her out of that pit by using her close friends to communicate their love for her and God’s love for her. 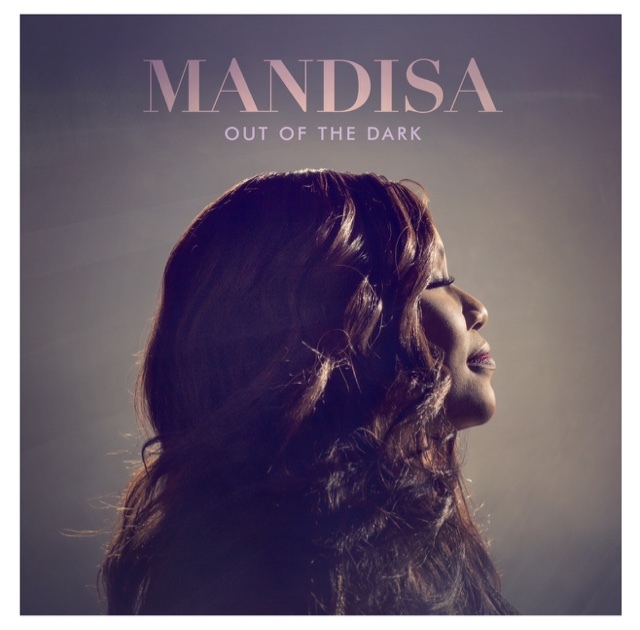 This album is Mandisa’s way of letting her fans into her story – it’s called 'Out Of The Dark' because that is exactly where God lifted her out of! FlyBy has generously shared the opportunity to give a copy of this CD to one of you! For an entry in the giveaway, leave a comment on this blog post answering this question: Is there a specific verse or song you know that fills you with hope? Be sure you include a valid email address for contact if you win.) Winner will be chosen Wednesday May 31st and will have 24 hours to reply to claim the CD. For years, my go-to songs when Lauren is sitck have been "Blessed Be Your Name" and "You Never Let Go." Mandisa's "Overcomer" was my theme the year that my husband was deployed. "Blessings" by Laura Story gives me hope and inspires me. I have so been blessed by Mandisa's music. Thank you for the opportunity! I Still Believe by Jeremy Camp always gives me hope. No matter what God is there.